Bullyland AG is a manufacturing company founded in 1973 and based in Spraitbach, Germany. It is recognised internationally as a manufacturer of hand-painted collectors’ models and figurines. Their toys are certified PVC-free and phthalate-free figurines which are safer products for our children and the environment. Their products offered in our store range from realistic-looking animals to mythological creatures such as dragons and unicorns. 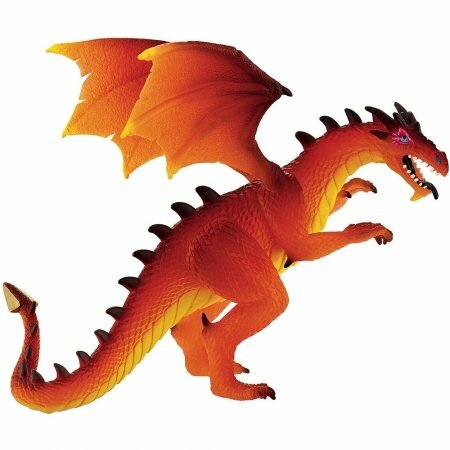 You cannot add that amount of "Bullyland Soft Play Dragon Orange" to the cart because there is not enough stock (0 remaining). $17.90 $9.58 inc. GST Sale! $13.90 $7.44 inc. GST Sale!